Governments sought a new way to reduce levels of sulphur dioxide and nitrogen dioxide that had accumulated since the industrial revolution. The idea was simple, if radical: let people buy and sell the ‘right to pollute,’ while developing local market-based solutions as a way to clean up the environment. While targeting energy emissions up in the sky, that first cap and trade was aimed at the pressing water problem of acid rain falling to earth. It worked. The market-based approach slashed 36 percent of emissions in 14 years at a sixth of the cost–cleaner, faster and cheaper than anyone imagined possible. The top-down regulatory skeleton of the Clean Air Act Amendments of 1990 also spurred technological and contractual innovation at the local and regional level. Energy producers had a platform to engage each other in the solution-making process, reinvesting savings to modernise their outdated systems. Now the urban water sector is now experiencing a similar crisis–and opportunity. Ageing utilities face urgent environmental challenges that simply cannot be tackled by existing governance and management frameworks. Conventional complex water infrastructure networks are typically “once-through, single-use” systems; they deliver clean water to various end-users while treating wastewater and stormwater as nuisances that must be captured and conveyed out of communities. While enabling past growth, the old approach also insinuated an unrealistic sense of abundance that has led to unsustainable policies and practices. Outdoor spaces with lush green grass in arid urban regions across Australia or Arizona or Andalucía exemplify the world’s careless use of cheap water. Meanwhile, population growth, climate change, urbanisation, and most importantly ageing infrastructure continue to degrade both water quality and quantity–witness Flint, Michigan’s lead poisoning or Day Zero in Cape Town. Our ‘new normal’ demands water professionals put an end to the lazy era of imagined abundance, and embrace a bracing new reality of innovative thinking and alternative water solutions. A disruptive first step is to diversify water portfolios–including water reuse, stormwater and rainwater harvesting, and desalination–to introduce flexibility and resilience against extreme weather, floods and droughts. Yet even these efforts remain all too often incremental, uncoordinated and erratic; they are not yet systematic. To make a real structural shift, utilities must engage a broader group of actors in the process, and that is where cap and trade comes into play, this time for water systems. The water sector is no stranger to this model. A smattering of cap-and-trade schemes already aim to address water pollution in various water bodies. Yet most such trading programmes have focused on water quality. Now their frameworks must be expanded to account for water quantity, encouraging efficiency, reinvestment, and supply diversification. Communities in drought-stricken regions have started piloting similar systems as a way to achieve water conservation at the customer level or at a watershed scale. However, these schemes have yet to reach their full potential, especially when it comes to enhancing regional water reliability and resiliency. Sceptics may argue that if resource credit trading markets are so effective, why have they not been used more often to address environmental and water issues? One answer surrounds that initial word: “cap”. The 1990 acid rain cap-and-trade scheme allowed trading after two years, but significant emissions reduction didn’t come until 1995 when the regulatory cap on emissions went into effect. Ironically, a voluntary market often requires a regulatory ceiling, and aside from water quality-based limitations on effluent, caps and targets have until recently been absent from the water sector, especially when it comes to supply. Regulatory moods are changing. California’s recent historic drought led Governor Brown to declare a state of emergency and introduce a rigid cap on water used by various water agencies. Now the state has made restrictions permanent, requiring utilities to meet certain water use targets by 2020. This type of regulatory vehicle, with pre-set targets, presents a great opportunity for a cap-and-trade model, especially for communities with a common pool of water resources such as a regional water system or a groundwater basin. In this case, every drop of water a utility saves through efficiency measures or generated alternative means (e.g. reuse, stormwater capture, grey water systems) will leave a drop of water in the common pool. That water unit saved then acts as a credit a utility can trade, to subsidise their investment costs or avoid fines. This market approach offers the flexibility for utilities to design and invest in water efficiency measures, or diversify their water supply portfolio, and meet their specific service area needs and capacity. Let’s say a district has already harvested the low-hanging fruit of efficient toilets and showers, and hits a wall. Under cap and trade, that utility can either invest US$1500 per acre-feet to replace lawns–a slow, sensitive and costly approach–or use the regional trading platform to purchase conservation credits from a neighbouring district at a lower price, helping that utility replace their toilets. As the market tightens up and the cap becomes stricter, eventually utilities will move to the next layer of efficiency and conservation measures such as lawn replacement. The basic idea is to incentivise people to do things that are cost effective, and invest in the community and system as a whole. Credit trading schemes can also help the region meet other environmental goals such as compliance with groundwater sustainability targets or environmental flow requirements. Our Stanford team recently completed a study for two regional water systems in the Bay Area of California. We tested and modelled a cap-and-trade policy scheme to assess how various communities would respond to regional conservation or diversification targets. The results showed that when the market is set in a transparent way, with a platform that enables various actors to cooperate and collaborate, regional goals can be met in the most economical and timely manner. As more global cities grapple with extremes of scarcity, floods, water quality degradation, ageing infrastructure, and dwindling financial resources, the water sector needs to rethink its conventional model and engage with a broader group of actors in addressing these challenges. Setting up virtual trading schemes as a policy instrument provides a platform to coordinate efforts, pool risks, and share costs while enhancing resilience. As indicated even in that first acid rain case, the key to success for these instruments includes: regional caps; limited credits; flexibility to develop local solutions; a credit banking option (e.g. the common pool of water); an active monitoring system to inform the process and to enhance trust and transparency; and a penalty or fine that would guarantee action by all the beneficiaries. Markets are no panacea. Yet if designed and set up correctly, a cap-and-trade model could facilitate the water sector’s transition into the 21st century. These tools have the potential to attract investment from diverse stakeholders, speed the modernisation of infrastructure, and drive a systematic approach that allows regional high-level goals to be achieved through bottom-up solutions. 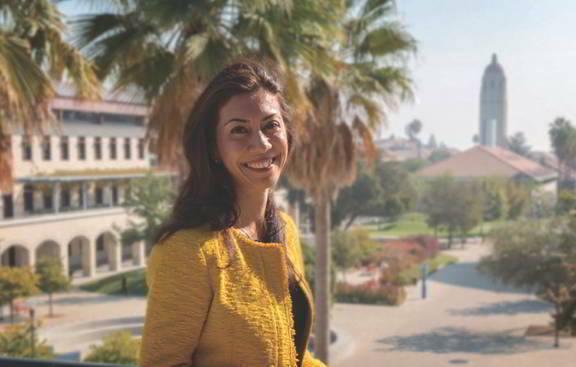 Newsha Ajami is the director of Urban Water Policy with Stanford University’s Water in the West programme and NSF’s ReNUWIt initiative. She is a leading expert in sustainable water resource management, water policy, innovation, and financing, and the water-energy-food nexus. Previous articleCan nutrient pollution markets bring aquatic ‘dead zones’ back to life?